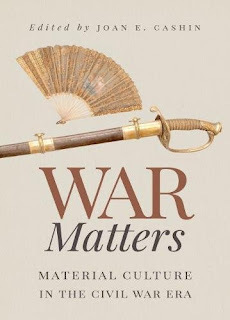 Review - "War Matters: Material Culture in the Civil War Era" by Joan Cashin, ed. Within Civil War scholarship, material culture studies continue to be an undervalued academic sub-discipline, a state of affairs that the new essay anthology War Matters: Material Culture in the Civil War Era seeks to address and change. Volume editor Joan Cashin's introductory essay recognizes that there is no universally agreed upon current definition of "material culture" from those that use it most (i.e. anthropologists, archaeologists, folklorists, and the like). The term originated in the anthropology of the early twentieth century and generally refers to "the study of physical objects as evidence of cultural values." Some also believe that particularly valued objects need to be also understood as themselves affecting human behaviors and attitudes. The fairly inclusive definition quoted above serves well enough as the foundation of the broad range of ideas aired in War Matters. While professional Civil War historians as a whole have not fully embraced material culture studies as a significant tool for use in their own work, the following essays represent at least some evidence of growing acceptance and appreciation. Jason Phillips begins the proceedings by looking at the historical and physical origins of John Brown's famous pikes and their cultural meaning and evolution. After his victory over proslavery militants at Black Jack in Kansas, Brown proudly displayed to supporters and financial backers a captured dagger as emblematic of his cause and evidence of his triumph. Symbolically turning the weapon against its previous owner and the "Slave Power" he represented, Brown commissioned 1,000 pikes with the bladed tips precisely modeled after that of the Black Jack dagger. While the pikes never drew blood in the hands of fellow abolitionist fighters or rebellious slaves, they became meaningful objects on both sides of the cultural divide, with abolitionists keeping them as treasured relics and proslavery activists displaying them as powerful material proof of the North's support for the violent overthrow of slavery and the presumed race war that would ensue. The chapter provides a good example of how the physical nature and symbolic meaning of material objects can evolve in both intended and unintended ways. Both sides during the Civil War earnestly attempted to appropriate the legacy of the American Revolution in support of their respective causes, and Joan Cashin's chapter discusses the relics from that treasured period of history that were physically threatened by the fighting. Union soldiers wanted to see, touch, and often take sacred objects; Southern Unionists sought to display them as proof of their loyalty; and pro-Confederate citizens tried to protect and preserve them from outright theft and destruction. In citing these examples, Cashin forcefully demonstrates how much Civil War era Americans wanted to possess physical reminders of past glories while also using them as tools of political and cultural expression in their own lives. By interpreting the entire Antietam National Battlefield as a historical artifact, Lisa Brady and Timothy Silver take perhaps the book's most expansive approach to defining material culture. Conducting material culture studies through the lens of environmental history, Brady and Silver look beyond relatively small, inanimate objects to large, culturally significant landscapes and their living ecosystems. Their long-term method of examining the complex interplay between the human and natural origins and histories of particular landscapes provides another way of looking at Civil War battlefields. 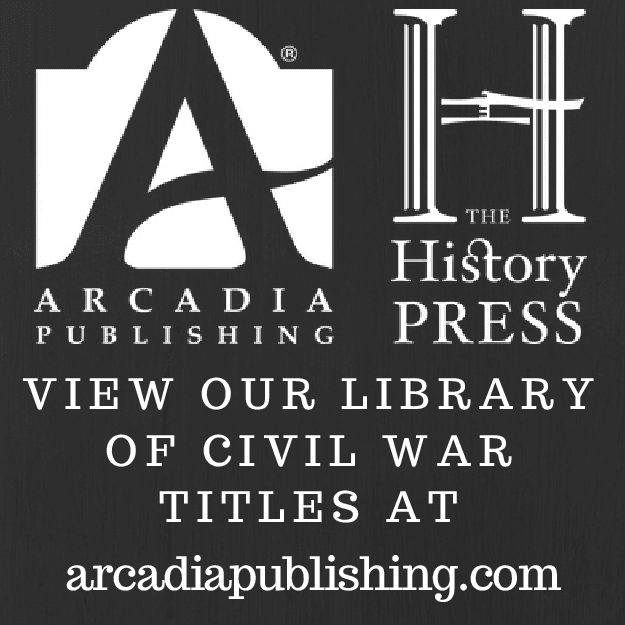 Everyone has read Civil War anecdotes about printed material in breast pockets stopping bullets and saving lives, but Ronald and Mary Zboray's article offers the first comprehensive examination of the practice, which originated in Cromwellian England. Documenting 108 cases in both Civil War armies, they thoughtfully explore the individual, religious (most were bibles), and cultural significance of using books as personal shields. The printed objects came to be proactively viewed by many as talismans that could ward off harm on the battlefield, and in the case of bibles took on additional elements of divine grace and intervention. Military material culture studies (particularly those associated with modern conflict archaeology) have made impressive strides in recent decades, but Earl Hess points out that the examination of Civil War weapons as culturally-significant objects has lagged behind. Adopting an international cross-cultural approach, Hess's chapter interprets weapons—in the context of both user and target—from the individual perspective (ex. noting the tendency of many soldiers to see their weapons not as mass-produced things but personally meaningful objects) as well as through societal lenses such as American gun culture and the pervasive 'new is better' attitude toward technology. Robert Hicks moves the discussion from man-made objects to man-modified natural materials, in this case smallpox vaccine matter extracted from individuals by Confederate Army doctors and prepared for general use in inoculating civilian and military populations. There is a particular focus on failed inoculations and how they prompted a scientific reevaluation of each stage of the vaccination process. This led to improved methods and the compilation of a large body of data and observations useful for future research. Within black refugee camps managed by white northern relief workers, ex-slaves lived in either tents or existing built structures, and these intimate material spaces are the subject of Sara Jones Weicksel's chapter. In it Weicksel sees refugee dwellings and the artifacts that adorned and furnished them as representations of freedpeople's personal visions of freedom. Unlike women of the wealthier classes who could afford to leave the home to participate in fundraisers, attend political rallies, and nurse the wounded, Alabama's common folk women found ways to support the Confederate cause and supplement their more meager incomes through home industry, both through hand-made goods and food production. However, Victoria Ott's chapter also shows how hardships and scarcities in those very same material items fueled opposition, often class-based in nature, as the war dragged on. The final two essays explore the popular passion for relics of the war. 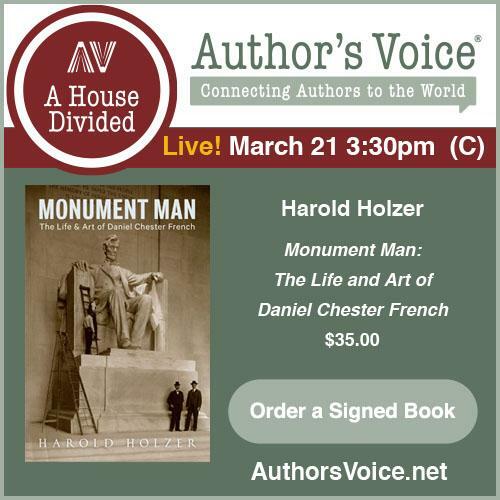 Peter Carmichael discusses relic hunting in the context of the conflict's final weeks, when veterans of both armies sought to substantiate their service through keepsakes, while Yael Sternhell recounts Jefferson Davis's twenty-year quest to reclaim his lost or confiscated material belongings. Ironically, those objects held by the federal government were the easiest to get back while those taken by ex-associates the most frustratingly elusive. Davis's loss of control over his own material legacy serves as a notable reminder of how the private artifacts of historically significant figures eventually become public property. All of the contributors to War Matters successfully argue for the appropriateness and validity of incorporating into the historical scholarship the study of material items of cultural significance. 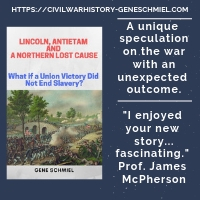 Certainly the book should be read by all Civil War professional historians and graduate students, but many of the essays also exhibit popular appeal sufficient to gain the volume a wider reading audience. Highly recommended.